Ten years ago, you probably didn’t know everything about tiny houses. You see, a decade ago there weren’t shows about tiny houses, no mainstream crusaders for micro living. There wasn’t any Tiny House Hunters binge-watching because there wasn’t a show about people searching for small houses. Fast forward to the present day – micro homes are a beloved movement among homeowners old and young who are looking for alternatives to the “bigger is better” movement that’s long-held its grip on American homeowners. According to a 2015 article from U.S. News & World Report, the average square footage of new homes in the U.S. grew from 1,660 square feet in 1973 to 2,453 square feet in 2014. And with this significant increase in size comes another burden that consumers are trying to avoid: big mortgages. Small houses mean small loans, too – the average loan to build a tiny house is usually under $50,000, with one article from Fox News noting that the average 200-square-foot little home costs between $25,000 and $35,000. These homes, however, are more than just square footage and price tags. Understanding what tiny home living is all about gaining a comprehensive understanding of what they are, who makes them, the options you have for buying and how you finance your purchase. We’re going to cover each of these areas in the next few minutes. 1 What is a Tiny House? 4 How Do You Build a Tiny House? The general consensus among tiny home experts is that a house can be classified as “tiny” if it’s less than 500 square feet and is free-standing. Now, among the ranks of tiny house enthusiasts, there is some debate. We’ve found people who say tiny houses should be 200 square feet or less, while others say 500. We’ve even discovered a niche for homes less than 1,000 square feet. Whichever limit you choose, the size requirement ensures that the homes are, in fact, small, and the free-standing rule is really what makes the tiny home different than an apartment. As you’ve probably guessed, the key to a micro home is that it maximizes what little space it has to offer. In many cases, you’ll see tiny homes with lofts that serve as bedrooms. 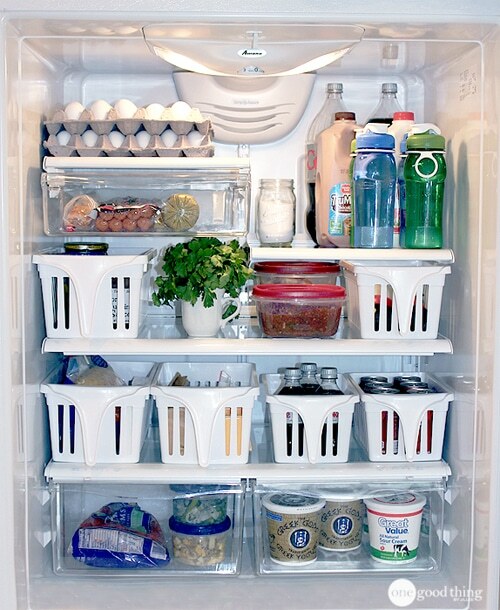 Kitchen tables will fold up or break down into smaller spaces and bathrooms tend to be a tight fit. So tight, author Kerri Fivecoat-Campbell told Cosmopolitan in 2016, that things can get awkward. “Our bathroom is feet away from the living space. You can hear the other person if they’re sick. It’s not pretty, so you want to be aware of that,” she told Cosmo contributor Emily C. Johnson. One of the things that’s crucial to understanding tiny homes is that they represent a movement toward minimalism. Choosing to live in a tiny house on wheels is just as much a change of mind as it is a change of your living space. How Do You Build a Tiny House? One of the beautiful things about tiny homes is that their simplicity and size mean that you don’t have to hire a huge team of contractors and sub-contractors to do the job. In some cases, a small team of tiny-house specialists will build your home. In other instances, you can build it yourself. As more and more people have become interested in tiny-house living, micro-home builders have sprouted up all over the country. One of the best ways to find a tiny house builder in your area is to check out databases included on tiny house websites. For example, the Small House Society’s list of small-house designers and builders includes more than 80 builders and designers around the world, with most operating in the United States. Tiny House Listings also has a decent list of micro-house builders, most of whom are located east of the Mississippi River. If you don’t want to hire a contractor to build your small home, there are plenty of resources online and at brick-and-mortar stores to help you build your home on your own. Lumber 84 is one of the more notable nationwide companies who offer DIY tiny house kits through their Tiny Living program. At the time of publishing, Lumber 84 offered four different types of small homes with three different construction packages: full DIY, half DIY and pre-built. There are many other boutique sellers who offer tiny house kits. If you’re interested in buying a tiny house kit, check with the American Tiny House Association for recommendations for builders and designers. As for the technical side of building tiny houses, one of the best ways you can prepare yourself for the experience, Comet Campers says, is to spend some time with someone who knows how to build. While we certainly applaud the adventuresome spirit of this advice, we encourage you to add YouTube videos to a larger body of learning. Stop by a local big box store like Lowes and Home Depot to see if they’re doing any workshops on plumbing, electrical or other construction-related areas. These hands-on experiences will go a long way in increasing your familiarity with the DIY process. Every city has its own list of building codes (how you build) and zoning codes (where you build). While you might be tempted to build your tiny home without the necessary permits, it pays to follow the rules in the beginning. To make matters worse, Tiny House Association National Coordinator Alexis Stephens told Curbed that very few cities in the United States have codes that specifically address little homes, whether they’re tiny houses on wheels or stationary dwellings. “There’s a lot of interest in tiny living, but people are confused by the zoning codes and regulations, and feel intimidated to go to the city government,” Stephens was quoted as saying. In a basic sense, tiny houses are divided into two groups: recreational vehicles (RV) and accessory dwelling units (ADU), Curbed noted. RV’s tend to be a little easier to deal with because zoning laws are usually more lenient about where you can park them. ADU’s on the other hand, can be problematic. There are ways to get around some of these regulations, as a 2016 article from The Huffington Post points out. One of the easiest solutions is to build an RV tiny house, which gives you the flexibility to move it at will and adapt to just about any city. You also have the option of moving to or building your home in a tiny house community. Portland, Seattle, and Austin are home to thriving small-home communities. 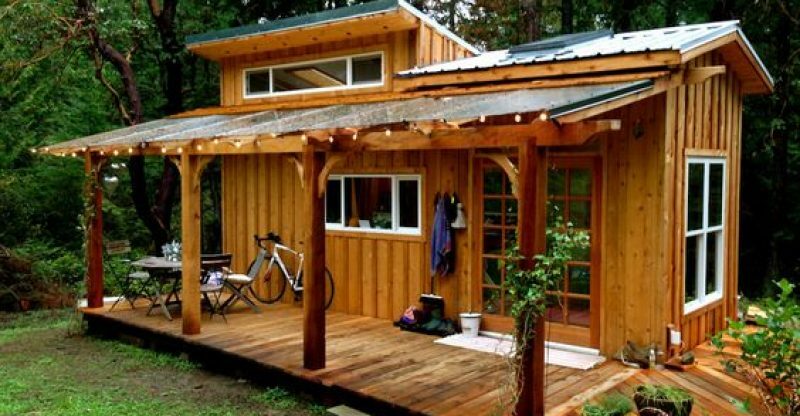 Tiny homes tend to command tiny prices compared to cavernous single-family dwellings. Because of this, you can’t just walk down to your bank and get a mortgage. You have to find unconventional ways to fund your new home. If it’s a loan you’re looking for, there are several ways to do it (not including fronting your own money or asking friends and family): RV loan, a personal loan from your bank or credit union, a loan from the manufacturer or credit cards. One of the more popular tiny home lenders is LightStream, a division of SunTrust Bank. LightStream’s tiny house loans are actually loans the bank gives for RV’s, boats and aircraft. Their rates start as low as 3.24%, but it’s important to remember that 3.24% is only available to people with excellent credit scores (think high 700’s) who want a 24-36 month loan on a home that costs between $10,000 and $24,999. Depending on your credit scores and then length/amount of loan you need, you could see rates as high as 9.59% and repayment terms ranging from 24 months to 84 months. Keep in mind that your tiny house will have to be certified as an RV in order to get an RV loan, says NerdWallet’s Deborah Kearns. Head to the Recreational Vehicle Industry Association’s website to learn more about certification. Personal loans from your bank or credit union are another option you have, but it’s important to remember that interest rates on personal loans are much higher than RV loans. For example, Discover offers personal loans with APR’s ranging from 6.99% to 24.99%. Their repayment periods range from three to seven years. Manufacturer’s loans are given by the same company who builds your little house. Each manufacturer’s loan terms will differ based on their lending standards and your credit scores. As you’re doing your search for the right tiny home, make sure you inquire about the terms of the manufacturer’s loans. Compare those terms with RV rates at banks and note the differences. You may prefer to go with the company that gives you the best rate, or you may want to keep things simple and go through the builder. This final payment option is only viable because tiny homes usually cost less than $30,000. 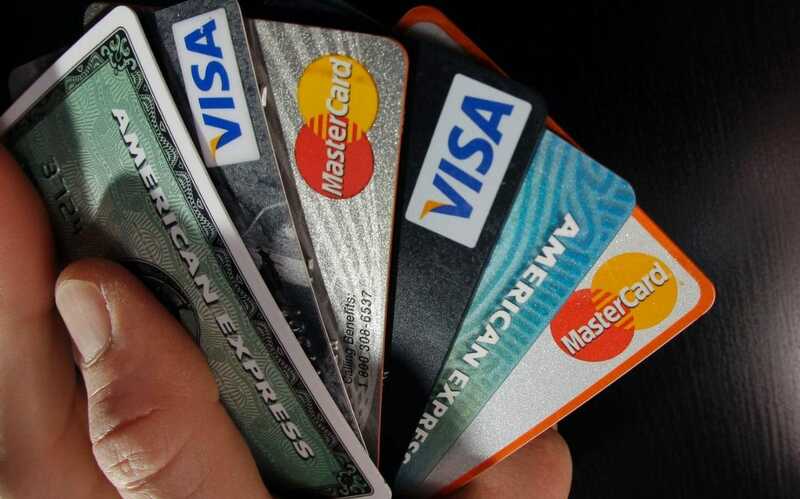 While most of us can’t convince our credit card issuers to raise our credit limits to $30,000, there’s a good chance you can spread the cost of your new home over several cards. One option you have to reduce the amount of interest you pay is to research cards that offer no-interest for a certain period of time. If you’ve got excellent credit and above average income, then there’s a good chance you’ll have a high credit limit and 12-21 months of no interest on purchases. Chase’s Freedom Unlimited is a popular no-interest choice. Chase tends to give generous credit limits and the Freedom Unlimited, at the time of publishing, offered 15 months of 0% APR. If you can pay off the entire balance by the end of the promo period, this card can be a great way to pay for part of your tiny home. If you can’t pay it off in that 15-month time frame, you’ll pay interest on the entire original balance at a rate of at least 16%. If you don’t think you can pay down the balance, stick with an RV loan or a personal loan. The tiny house movement is reaching a crescendo, and for good reason. In the United States, college students graduate with an average of around $35,000 in student loans, a burden that makes traditional homeownership seem impossible. Tiny homes have reshaped the way we think about our houses, introducing a simplified way of life that can be had for, in most cases, less than $30,000. Many industry websites, including the American Tiny House Association, can direct you to reputable builders in your state or region. If you choose to DIY your tiny home, be sure to study the basics of electrical, plumbing and general construction. It’s also helpful to work alongside a tiny-house expert before starting your own project. As you’re deciding whether or not you want to buy a pre-fab little house or build your own, research your city’s building codes and zoning laws. These regulations will help you decide whether you should buy an RV or an ADU. 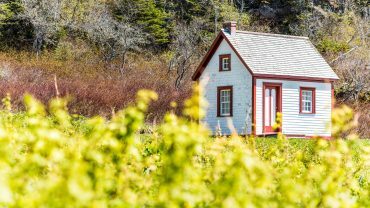 Once you’ve decided on the type of tiny house you want and you’ve researched local ordinances, you’ll have to secure funding to buy your new home. RV loans offer the best interest rates, but they require that your tiny home is an RV. If an RV loan isn’t an option because you’re building an ADU, you might be able to secure funding via a personal loan or from the manufacturer who’s building your home. Interest rates for personal loans tend to be higher than manufacturer loans, so compare rates from multiple banks and credit unions against what your builder is offering. The final option is credit cards, but we only suggest using them if you can get a no-interest offer. In many cases, you won’t be able to pay off the entire balance during the zero-interest offer, which means you’ll end up paying formidable interest fees for many, many months. If you want to learn more about tiny houses sign up for email alerts. You’ll get a notification any time we publish a new post about tiny homes. Excellent advice, points of reference, resources. I live in a 480sf cottage in the art district of Garden City, Idaho better known as the Live-Work-Create District. My saving grace is a one car garage for my toys. The main takeaway of tiny house living is to get rid of stuff – that rule of thumb is that if you have not used it in the past year, it’s time to let it go. I only keep books I know I will read again, I am thrilled to get rid of clothes and take them to a non-profit thrift store. Don’t downhill ski any longer, sold those! There were two very popular festivals in Boise the past two weekends, and you know what? I did not go. I do not “need” anything, therefore I hiked or biked instead. Scaling back gives me a life of joy, peace, rest.